Discussion in 'Hustles, Freelancing, Bootstrapping' started by Sean Marshall, Jul 19, 2018. Like I said, in my course, I literally give away templates and step by step instructions on how to start a profitable agency yet most people never do it. Ah I knew that there was some extra context I was missing there. Another important point here is how do you find people to help you design the websites and how you pay them in order to keep them motivated and also your business to be profitable for you. You cannot do everything by yourself and because there is not a constant work load business I find it difficult to work with people in other terms than project-based. Another important point here is how do you find people to help you design the websites and how you pay them in order to keep them motivated and also your business to be profitable for you. You can always pay for people in lower cost of living areas, they get the advantage of work form you being in the area where the work is demanded, whilst you get the difference between what it sells for away, and what it sells for at home. If your in an area, that is expensive, but has lots of networking opportunities, I can see this being a good play. ApparentHorizon, Sean Marshall and AdrianB like this. I've been doing some online courses on this and checking out some e cigarette suppliers' websites. It fits in nicely with what I'm doing, being a consumable means I could offer clients a lower price and cut of future sales as a way of encouraging them to buy/giving a lower pay option. I need to zoom in on the niche a little more, they need to be too busy to do it themselves and willing to pay. I also need to work out what to do about the social media(I'm terrible at that, it looks like I will need it and I can't afford to pay an arm and leg for someone to do it for me right now) It will probably be one of the first things I outsource, however if it is needed, I need to figure it out or find some money another way first. If I can hit 5k in the next 90 days, I will come up to Scotland and buy the OP family's dinner. It's not that far on the train anyways. Though I imagine since I'm doing this online it will take me longer? 1. you said "document all your work", can i use legalzoom for my company status in France? Is it possible to start all that while being an employee? 2. how do you manage your taxes since you are an entrepreneur? did you have hardtime with fisc? 3. Do you think to call companies to advertise my service is a good tip? Most of them are online companies and i can not reach them except online, i plan to advertise by video. 4. I am having a hard time to estimate my packages prices since i am not an expert with digital marketing field. i don't want to look either too expensive or desperate. I have watched some digital marketing websites online but prices gap are huge, according to what they propose. please can you help me settle prices? 5. Is it an attractive and logical USP: increase your sales or we refund you or for one package bought, 1 month of free facebook and tweeter advertising? 1. Not sure about LegalZoom in France. I'm sure there's something equivalent though. Yes, I started my business while still an employee. Although, I was let go just a month later. 2. I have a professional CPA manage my taxes. It's not an issue for me. 3. If you want to try cold calling, you can. The phone is still one of the most effective tools for selling. 4. Go online and look at what other companies in your area (or area where you wish to market to) are charging. Bottom line, it depends on the services you offer and who you're selling to. 5. If you're willing to guarantee your services, then sure, you can refund. If you want to offer a trial period of services, that also can work. I hang out at Family Rocketship where I help people break free of the 9-5. Join me? Kingmaker, Andy Black and AlaneM like this. How do you network online? First, it depends on who your target audience is. Think about where they might hang out online. From there, you can first listen in to see what's being discussed, especially what challenges people have. You can then chime in providing solutions to those challenges. For free. I like to fish with a net so I go after association presidents. For example, if you're looking at roofing companies for example, you can reach out to associations that roofers belong to. Start contacting the association president/leadership and offer an insane amount of value. You could do a webinar or provide a newsletter guest post or whatever. Better that than to reach out to roofers one by one. Shinebabe, Kalps, Kingmaker and 2 others like this. Though I imagine since I'm doing this online it will take me longer? That depends. I had good luck with meeting people in person. Although, many of my students have had a lot of fast success by doing almost everything online. Kingmaker, Andy Black and policebaton like this. I like to fish with a net so I go after association presidents. . I'd need to either figure out an equiv of assoc. Pres or go after ones abroad. First, it depends on who your target audience is. Think about where they might hang out online. . I guess this is a problem for me, I have to figure out whom I can add value to and what my target audience should be. I think at the moment I'm randomly trying to give value away to the wrong people. For instance property gurus looking for leads on empty property all the time, so found forum, pulled data from interweb on one city mashed data up against Google maps to make it more visual. Gave 100s away for free. Figured I could gain interest and sell for other cities. Nobody was intrested, 1 person commented they thought it was crazy nobody would buy or download for free(my only accesser of property data) when so many are looking for it. They didn't want to buy and resell any more data from me though. Although, many of my students have had a lot of fast success by doing almost everything online. I almost wonder if I would do better following one of those students' course. I've been meaning to write this post for a long time. It's basically the story of how I started a digital marketing agency to be able to do cool stuff. And I would like to give you a nice little checklist that you could use as well if it interests you. I started my business in 2010. Since then, I reduced my own work load to less than 10 hours a month, lived in Mexico for 4 1/2 years, traveled to 15 countries, and am prepping to head to Scotland for 6 months in Sept - all together with my wife & 3 kids. I cracked the code to scaling a service-based business using detailed systems (a fancy checklist on Asana) and a good team (all based in the Philippines). I made $2,450 in my first month. Not crazy I know but it was a big deal for me just starting out. More importantly, that number increased every single month afterwards. 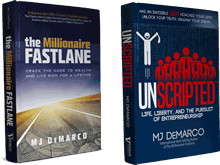 At about month 11 is when I read The Millionaire Fastlane and it completely changed how I viewed my business. I made a bunch of changes based on MJ's advice and started hitting 5 figure months about two months later. DOES IT FOLLOW MJ'S COMMANDMENTS? I need to mention that a digital marketing agency does NOT follow all of MJ's 5 business commandments. It breaks one - Barrier to Entry. Basically, anyone can do this. They really can. BUT, that's also the catch - most people DON'T ACTUALLY EXECUTE! You can give them all the tools, step-by-step instructions, templates, etc and they still won't do anything. I know because I offer a course giving people literally everything they need and only a handful of people actually do the thing. So in a way, the barrier to entry commandment is almost a non-issue. Besides, there's more than enough business out there. With the other commandments (time, scale, control, & need), this kind of business passes with full marks. Like I said, I made $2,450 in my first month. How did I make that money? I networked with people I already knew and got in touch with a few key business owners. I shook hands and spoke with everyone I knew. Hitting $5K in under 90 days is totally doable. I have students in my course that have done much more in less time. WHAT IS AN ONLINE MARKETING AGENCY? Before I give you a checklist, I have to answer, what is an online marketing agency? There are a lot of names for this kind of business - internet marketing company, digital marketing agency, online marketing business, and more. They’re all the same thing. In a nutshell, it’s a service-based business that manages the online marketing activities for companies of any size that are in need of growing their presence online – which is all of them. This includes services like SEO, social media management, reputation management, website design, and more. You can choose to focus in on just one branch of online marketing (like website design or SEO) or you can choose to do it all. As the business owner, you’re responsible for creating the services that your clients will choose from. Then you will need to recruit a team of people to do the actual work. You can even hire salespeople or a sales company later on and scale it infinitely. There’s no shortage of businesses that need help with their online marketing so the sky’s the limit. There’s also no shortage of people who can do the actual work and you can contract them relatively inexpensively. *NOTE: Building an online marketing agency might not be your passion. It really doesn’t matter. What matters is that it offers you a way to sell a valuable service to real people who pay real money. You can quickly build this business, scale it up, and then do whatever the heck you want! Starting and running a digital marketing agency breaks down into what I call the 5 S's. I'm going to break down the checklist into those 5 groups. The rest of this post is literally made up of the steps you can follow to start your own digital marketing agency. If you have any questions, obviously I'll be paying attention to this thread. I won't hold anything back. This portion is to help you get started by establishing your business services, messaging & branding, website, and so forth. The goal is to move quickly to hurry and get to making sales. Start thinking about your business brand including your business name. Think about what kind “feel” you want your business to have. Write out at least 10 possible names. Look up “online marketing company” and check out the first few sites – the goal is to get a feel for what they do and what you’ll be doing. Think about an industry you might like to serve (i.e. – chiropractors) and then look up “online marketing for chiropractors” or similar terms and study what comes up. Write out (or type out) your motivation. Why are you interested in starting this business? Answer this with something more specific than “to have more money”. Get as specific as you can. Don’t skip the mental work! List out the amount of money you would like to make in your first month, second month, following months. Include your first year’s goal. Go online and look up other online marketing companies (again) – jot down everything that you like and that you would like to emulate. Come up with your 3 packages. List out the services that each package entails. Yours may be just offering social media or just website design or whatever. Be sure to be detailed - list out everything. Come up with your package pricing. Decide what you think is valuable for all parties involved and use this as a starting point (you’ll most likely adjust this as you get more experience). Use this pattern: $499/$599/$999 OR $999/$1199/$1699 and so on. Identify and write out your USP. Write what your ideal client looks like – the more details the better. Decide right now you will stay true to your niche and not take on anyone and everyone who needs help “online”. It’s better to focus on a core audience to avoid wasting time and money. Don’t be afraid to say no. Come up with your business name. Come up with your business tagline (if you need one). Pick your colors. These can literally be your favorite colors. Don’t stress on this one. Get a logo done (use 99designs.com, Upwork.com, or Fiverr.com) – don’t do it yourself unless you’re a graphic designer. o What is your company name? o What is your company tagline? o What services do you provide? What problem do you solve? o Who is your target audience or what does your ideal client look like? o What is your USP? o How much do you charge? o What is your monthly revenue goal? o How many new or repeat clients do you need to achieve this goal? o How do you get new clients? o How will you fulfill your services? Who makes up your production team? o Who are the other key players of your team? List their names and titles. Set up your business checking & savings account. Set up your PayPal (or Stripe) business account. Buy your domain name (use a registrar like GoDaddy.com). Buy your hosting (use a reliable & affordable host like SiteGround.com . Set up your website (use Wordpress – it’s super easy & all you need). Your host should have a 1-click Wordpress install. Create a home page, about page, services page, & contact page to start. This is the minimum. Set up your social media platforms (Facebook business page, Twitter, Google+/YouTube, LinkedIn all a must. Pinterest, Instagram, etc are bonus). Buy your business cards (and nothing else) Use VistaPrint.com because they’re super cheap. Only order 250 for your first cards. You may change some info later. This portion is to help you start making sales - the lifeblood of your business. If you’re not making sales, you don’t have a business. Get your first sale (work your own personal network to get started – make a list of 10 business owners you know or your friends/family might know and approach them offering them a discount or added value to get started). Complete the work of your first sale and be sure to get results! If you don’t know how to do any of it, go to UpWork.com and hire someone immediately – see next section. Document all of your work – you’ll need this to scale & build a team. Get your next 3 clients quickly. Go to networking meetings in your area. Consider joining your local Chamber of Commerce and possibly a BNI group or other networking group. Use online directories like Manta.com to find more businesses in your chosen niche. When you find their contact info, reach out to them leading with value - do a mock-up website with their info, list out specific tips to drive more business, or share exactly how they could tweak their online presence for increased traffic and conversion, etc. Think value! Reach out to associations in your chosen niche and offer to give free webinars. Optimize your company website to reach your target niche and drive traffic to it – have specific pages on your website that you get to rank in Google for organic traffic (i.e. – a page on “Search Engine Optimization Services for Chiropractors”). Then get it ranking and collect leads. Continue to look up the Chambers of Commerce in your area and other mixers and networking opportunities. Look to set up 1-on-1’s with potential clients but only ones in your niche. Don’t waste time with anyone else! Set up speaking and teaching gigs to get in front of a lot of people at once. Be as helpful as possible. Give your best stuff away for free - be incredibly detailed. Once you have some sales coming in, you need to make sure you document everything and create systems in order for others to do the work for you. This also includes establishing what tools you use in your business. It’s simple but incredibly important. Create a sales manual and a production manual. Be detailed and use bullet points. Set up your account in Asana.com – it’s free and it will be your project management tool. Name each new project after your client name. Each project is a client & list out in the project all of the work you said you would do in the list of services. Set your file storage using DropBox or Google Drive. Getting a team in place to do the work for you is key to your growth. You need to hire, train, and lead your team members. As soon as possible, you’ll hire more team members to make sure all work is being done effectively. Create a company org chart with you as owner. Create a general manager position with manager positions also in sales, production/operations, & finance. List out the work for your first job (base this off of your services in your game plan). Then go to Upwork.com or OnlineJobs.ph and post your job. Interview your top 3 candidates. Hire 1 but keep the other two on a short-list for when you need them in the future. Start them off on a part-time basis with the expectation of them doing more soon. Hire your first employee or contractor – generally this is a production staff member first (you should not be doing the actual production beyond your first client). Take time to train your first team member. Refine your systems and make sure they can operate independently of you as soon as possible. Use Asana (or Basecamp or Trello) to manage everything. If you’re concerned about tracking everything, consider using HubStaff.com. As soon as revenue and need justifies it, hire another contractor. And then another. And another. Once you have sales coming in and a team and systems in place, it’s time to scale-up. This section is all about refining your processes so that you can handle 5 or 500 clients while the work to you remains the same. In other words, this is how you make more money while working less. Refine your services – productize them! When mapping out your services, make sure your offer is the same to everyone. If you choose a service like SEO for example, then it’s relatively the same regardless of the industry your client is in. Don’t match a service to the client. Match the client to one of your preexisting services. Refine your clients - it’s OK & very necessary to the growth of your business to be choosy. Stay away from any "high maintenance" clients. Choose early on how you will handle communication with your clients. Most are just fine with email. Refine your systems. Look for ways to save money, increase productivity, and so forth. When possible, swap out human effort with software and automated work. Refine your sales. Spend money if necessary on advertising, always targeting your ideal niche/industry. As soon as you have at least 90-day’s worth of savings in the bank, have made at least 3 sales (with a lot more in the pipeline), consider going full-time with your business. If you have a significant other, be sure to be on the same page. Over-deliver with your clients. If the relationship is there, try asking for a referral but only if you’ve already done a great job. That's it! Just sell. There's plenty of businesses out there. I don't mean to downplay it at all but really, I'm nobody special. I'm not like most of the successful hustlers in this forum. I'm a pretty average dude that managed to create a sweet business. You can do the same. Just follow the checklist above. Amazing post, this has me grinding everyday when I’m home from work until i go to bed. Where do you purchase your templates or do you design them? The ones on themeforest are around $700-3200 to resell and $15 for personal use. How do you combat this?? ThemeForest is a good place to buy the themes. You can buy a license for each client if you wish. This way, it's all legal, everyone's happy, and you can get a highly customizable, easy to use theme. They didn't want to buy and resell any more data from me though. Yeah, it sounds then, like it's a matter of finding the right crowd - an interested, paying market. And what your offer could be - something that would really get people interested. With Divi (Elegant themes) you pay $89 per year and you can use them for any customer, it doesn't matter if it is a personal project or a commercial product. ER-FUN, Solid Snake, Bora.s and 3 others like this. I've mentioned before that the key to growth is monthly recurring work. One off websites can be great for revenue but they key is the monthly services. This keeps everyone happy. Shinebabe, Kingmaker, Andy Black and 1 other person like this. Shinebabe and abrakamowse like this. Started with Divi but switched to Elementor without looking back. Kingmaker, Everyman, babyballer and 3 others like this. How come you recommend limiting services to just one niche? Also, I know you outsource your operations but can you point me to any good sources for learning about social media engagement from your experience? Thanks for the post and in anticipation of your feedback. Sorry for this question...I now both of you are here on the forum, but would like to get an objective answer from someone who already completed the courses. What do you guys recommend? Fox School or Sean Marshall-Clone my online marketing business? This, I figure one I can find a crowd then I can get an idea of what I might have to offer they might want. However, finding the crowd is hard. I recommend finding a niche to get started. You're not stuck in that niche. You can always add more later. Also, you can niche by industry or by service. Or both. But getting started in a specific area/industry helps you sell more, feel more comfortable with your services, etc. For learning about social media engagement, I really like Social Media Examiner. QuickSprout University has some good stuff as well. Andy Daniels, Kalps, Bora.s and 6 others like this. I can't speak for Fox School but for me personally, I don't do any hard sells. I put up a detailed sales page that shares all of the info. I try to treat people like grown ups and not use any cheesy marketing practices. You either want to start an agency or you don't. ER-FUN, Shinebabe, Kalps and 7 others like this. I'm in @Fox Web School and learned a ton about selling. It shortened my process for at least 2 years. Looking to follow Sean's course as well because I would like to add services and recurring revenue with digital marketing. I think both can serve you very well but it depends what you want. If you want cash in a pretty short period and want to learn how to sell for future ventures, but not really want an agency in the long term, go with Fox. If you want an agency in the long term with recurring revenue, go with Sean. If you want both (like me), choose both. Shinebabe, Kalps, Bora.s and 5 others like this. AlaneM, Fox and Longinus like this. I don’t want to hijack someone else’s thread - if you got any course questions you can shot me a PM. Thanks. Bora.s, Blu H, Sean Marshall and 1 other person like this. 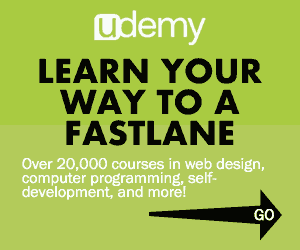 Just finished your course on Udemy. Let's get started! El Príncipe, Stone P and Sean Marshall like this.